CODE Army wants to use the concept of Gamification [the use of game design principles in applications outside of games] to solve the problem of talent shortage that companies face. Here, in the first of two parts, its ‘commander-in-chief’ describes how it went from an idea to strategic plan for the nation. It’s July 3rd. I’m writing this from downtown Boston, in a cafe called “Boston Common Coffee.” I just finished connecting with the local community of Harvard and MIT and visited probably the most awesome co-working space called Cambridge Innovation Center (CIC). One interesting point about the state of Massachusetts, where Boston is located: Every September, it sees a huge influx of students into its 50 universities and colleges and technical schools. What’s a Malaysian doing here and how did I get here? 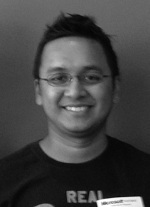 Then Hakim Albasrawy [co-founder of Tandemic Sdn Bhd] introduced me to Gamification. Being a former game addict, it totally clicked in my mind to merge the two together. We sponsored the Hack Weekend (last year at NST e-Media) that was themed ‘Gamification’ and very quickly developed and pitched our first prototype at the event. I managed to convince an angel investor to invest RM1 million (US$314,000) for 20% of the company. I put in RM800,000 (US$251,000) of my own. The big idea is to build an online platform that uses game thinking to help startups and indeed, companies of all sizes, build virtual teams. Somehow the Performance Management & Delivery Unit (Pemandu) and Multimedia Development Corporation (MDeC) people heard about us, and at that time were conducting the Digital Malaysia Labs [around August], trying to find the next innovative tech ideas to propel Malaysia forward. I was also totally honest, telling them: “I’m not going to sugar-coat it, failure is a real possibility.” The choice I put forward to them was: “Sit back and watch someone else do it or grab the opportunity ourselves?” I guess you know which answer we chose. We made some changes to our business model, promised MDeC and Pemandu that we would generate RM1.6 billion (US$500 million) by 2020 and provide virtual jobs to 100,000 Malaysians. At the center of the EPP was our platform called Code Army. Our Code Army had to succeed for any chance of the EPP succeeding. 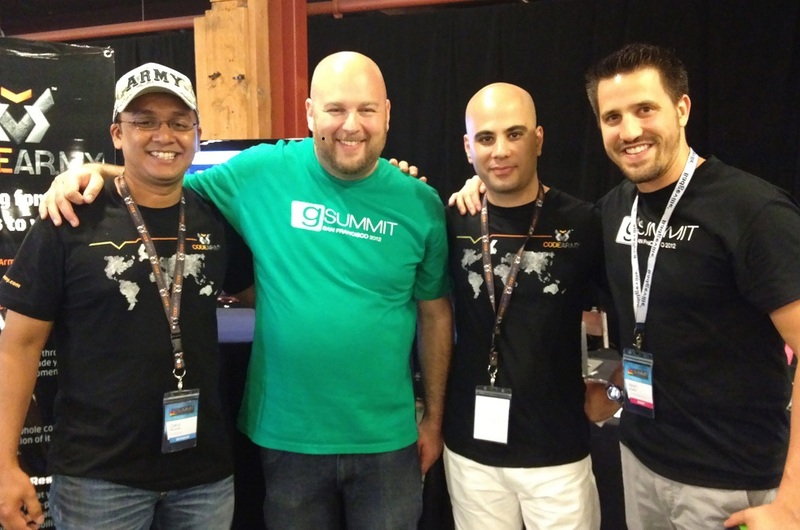 Without any second thought, we bought a flight ticket to New York for the Gamification Summit NY (September, 2011), with the aim of connecting with the world’s best Gamification community (pic). I met and connected with Gabe Zichermann (probably the best evangelist) and this was the start of my flirtation with Stanford University. I knew I needed some help with figuring out a lot of stuff, a research partner, and I wanted the best. We also tested the concept of Code Army. We got some positive feedback. We got home to Malaysia and updated everyone at MDeC and Digital Malaysia about the exciting prospect. I convinced MDeC to invite Gabe Zichermann to Malaysia, to be part of the International Advisory Panel. He met with Prime Minister Datuk Seri Najib Tun Razak, had dinner with him and sold him on the strategic importance Gamification will play in various facets of life in the future. Even I have not met our Prime Minister. We wanted a world-class product, and quickly realized that we couldn’t claim that by staying in Malaysia. We had to compete in the most challenging market. Where else but in the United States, and in particular, Silicon Valley? I had never been to the West Coast but found out that there was going to be a huge Gamification Summit event in San Francisco in June 2012. So, sink or swim, we were going to debut Code Army in Silicon Valley. It was time to find out whether we were as good as we believed we were!